Once upon a time, a poultry farmer placed an eagle’s egg in amongst his chickens to see what would happen. One of the chickens sat on the egg and nurtured it until, one day, it hatched and an eaglet was born. It grew up with the other chickens in the farmyard, scratching about and pecking at the earth. One day, the young eagle caught sight of a magnificent bird confidently soaring high in the sky, and he turned to an old rooster. “What kind of bird is that?” he asked. “I wish I could soar like that,” the eagle said. And so, the eagle went back to scratching the ground and he lived the rest of his life like a chicken, for that is what he believed he was. My friend, you are an eagle! 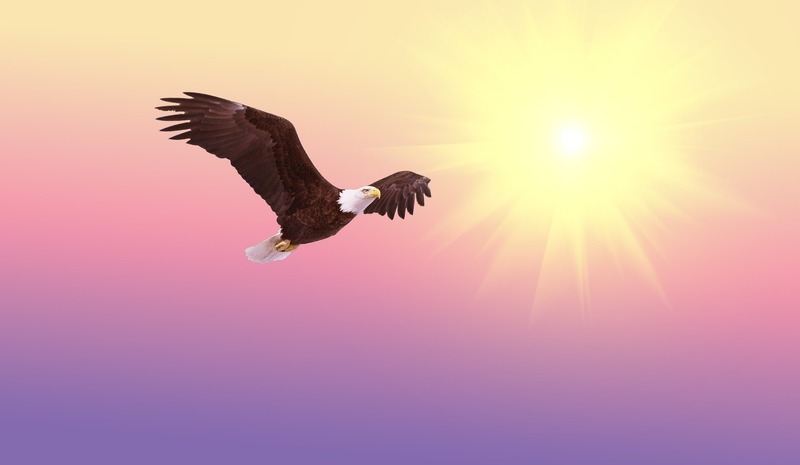 You were born to fly, you are destined to soar. You are called to achieve something important with your life. Don’t waste your opportunity. Story taken from The 7 Keys to Success, book available free from Amazon.